What to do for date night? Deciding what to do for date night can be half of the battle OR if you have been following our site choosing JUST ONE of our hundreds of ideas might be the hardest part! 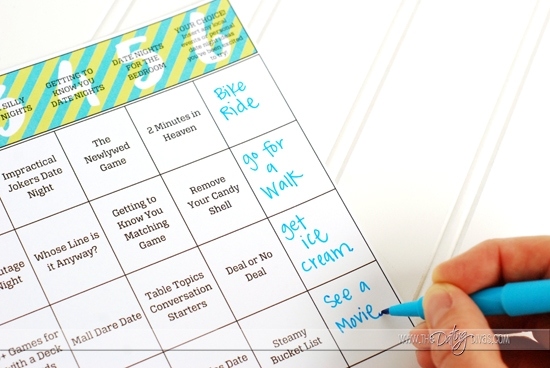 With the Date Night Dice – you can leave your date night activity to chance! 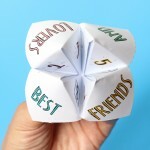 Just roll the die and see which exciting date night idea you and your spouse will try tonight! Say goodbye to the indecisive and time-wasting moments of “What to do for date night?” You already know that The Dating Divas have you covered with hundreds of fabulous date night ideas, but deciding (and agreeing) on one can be tricky! 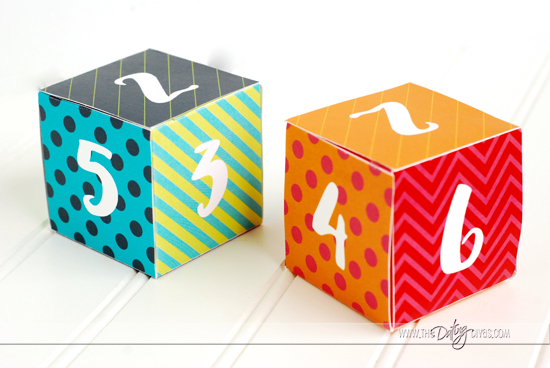 We teamed up with our talented Diva Designer, Crystal from A Well Feathered Nest to bring you an easy (and fun!) solution to your date night decision dilemma! 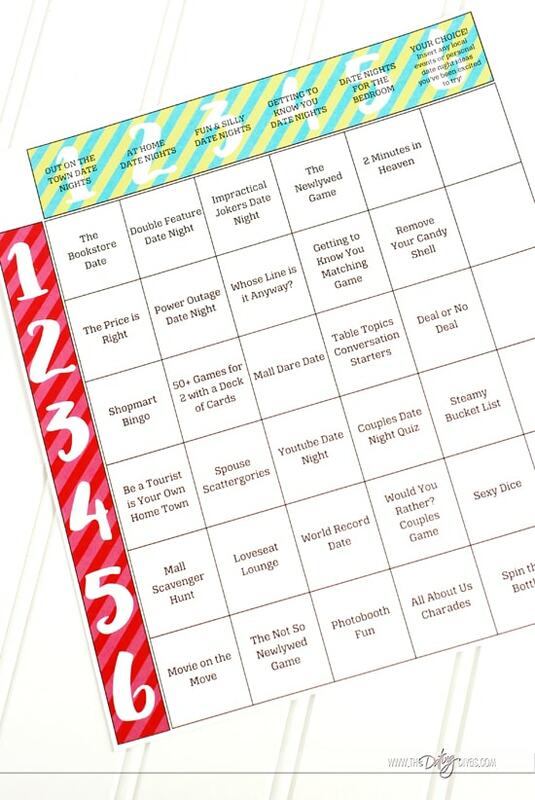 Start by downloading our date night ideas game grid. 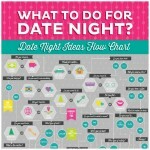 This chart has 30 different date night ideas that come straight from our site. 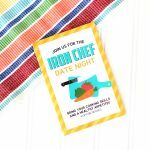 I made sure to choose date nights that don’t require much planning so that you can choose your date and get straight to it! Even though this date night is all about chances – you can definitely have an input. 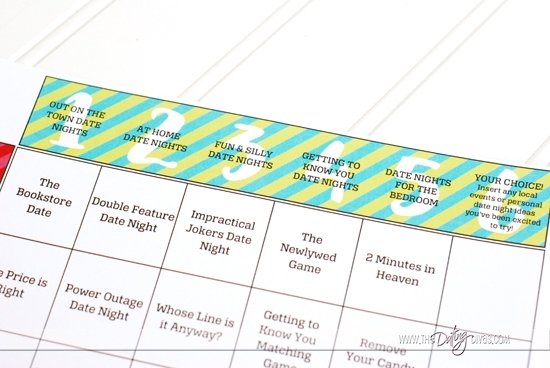 The grid has 5 different categories so if necessity calls for a date night at home- don’t bother rolling the blue die. 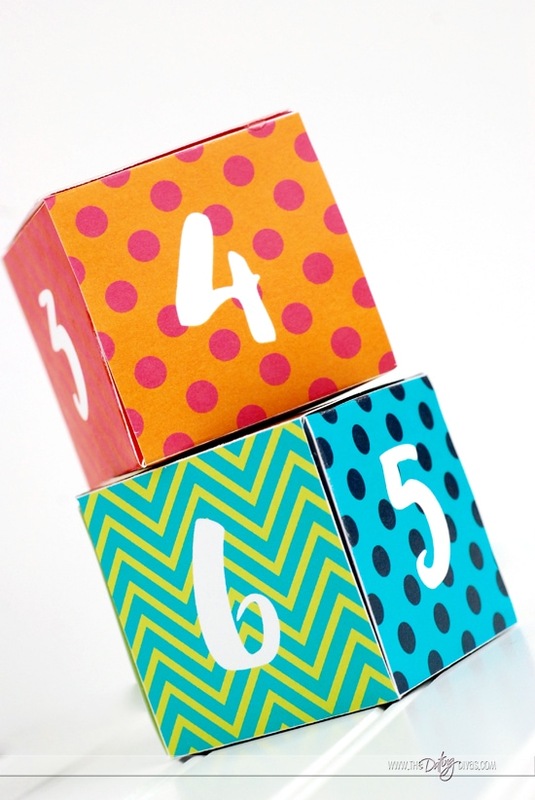 Just roll the red die to see which of our fun at-home date nights you will be doing! And to make it even more personal – add your own date night ideas to the final column! These can be date night ideas from our site that you have been dying to try or maybe something local that you think would be fun! Now, roll the dice! 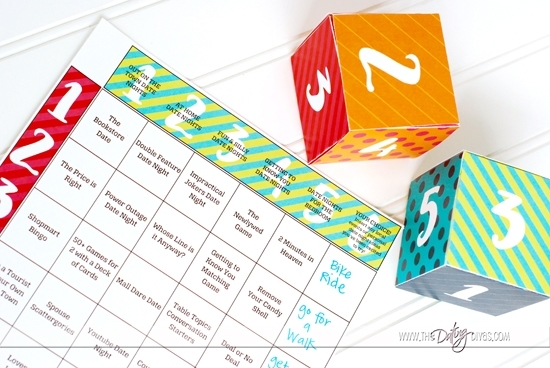 Roll each die (unless you have a preference of category as mentioned above) and match the coordinates to a date night idea on the date night chart! Then – do that date night with your spouse! No more debating – just do it! So if you happened to roll two 2’s – you and your spouse are going to enjoy an evening at home with the lights off for our Power Outage Date Night. Fun right? OR if you were to roll a red 4 and a blue 5 – you will be enjoying a night in the bedroom checking off your Steamy Bedroom Bucket List! You can’t go wrong with any of these date nights! 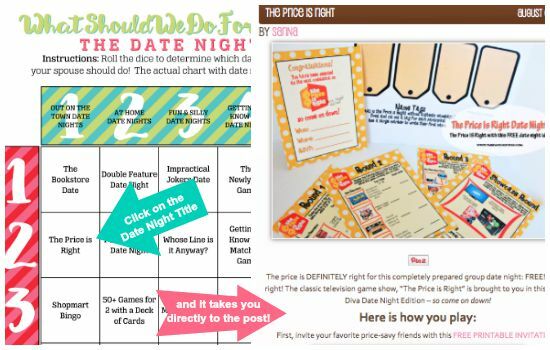 And just to make your life even easier – our designer Crystal was kind enough to hyperlink each of the date night titles on the PDF to the exact date night idea on our site! So if you and your spouse get coordinates 1 & 2 – you can click on the title “The Price is Right” and be directed to our site where you can read all about the date idea, print off any materials you might need and get to it! It just doesn’t get any easier! And the best part? You can do this again and again! 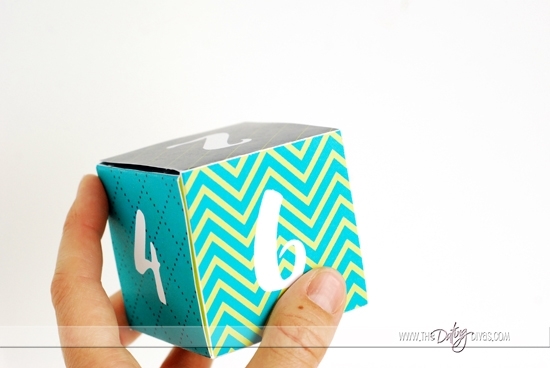 Tuck everything away into a box like this, or even this and then it is ready to go! 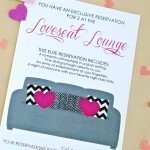 Each week, leave your date night to chance and have fun exploring new date night ideas that are all 100% Diva approved! 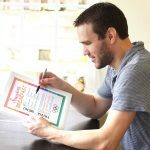 Before you download these fun & free printables – stop by A Well Feathered Nest and see what other amazing stuff Crystal has for you! And if you and your spouse want to have a little more say in the perfect date night for you - try our Date Night Ideas Flow Chart! 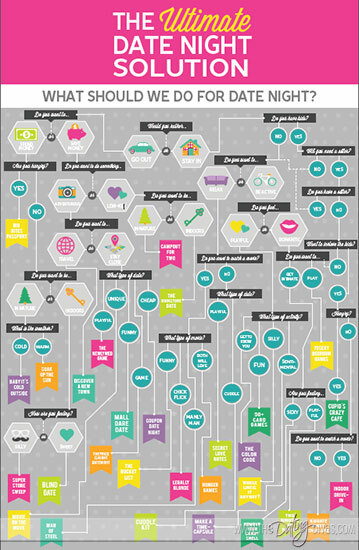 This fun chart allows you to answer a series of questions to determine the perfect date night for you! So fun! I can’t wait to try this one out!